An incredibly fine and soft lambskin with short, fine, tight wool that is incomparably soft. This is the Rolls Royce of lambskins. Each piece is unique. The shape, thickness and colour can vary slightly from classic off-white to shades of beige or grey-brown that gives these skins a natural and wild look that you will not be able to resist. Perfect for also for baby sleep, it has excellent insulating and body temperature regulating characteristics: it keeps you warm in winter and in summer it absorbs perspiration. Gone is the damp sensation in the bed. Wool can absorb about 30% of its own weight in water without leaving a damp sensation. It then slowly evacuates this humidity. This natural regulation prevents the ‘thermal shock’ or the ‘sudden chill’ caused by perspiration cooling down on the skin. For the crib, the pram, on top of your baby mattress or even as a bedside rug. Length: between 70 and 80 cms. RELUGAN tanning (medical, golden shade, washable) : The Relugan Tanning Procedure is an environmentally friendly procedure and involves no addition of chrome or other toxic substances. Lambskins tanned using this procedure take on a beautiful golden hue. It is also called ‘medical tanning’ as it renders your lambskin washable (in the event of an accident) at 30°C either by hand or in a machine on a wool programme using a special wool detergent. All you need to do for all types of sheepskins tanned using the TARA and RELUGAN procedures is to air them well. It is also important to brush them regularly with a special brush to remove any impurities that build up in them and to restore their original softness and suppleness. Use a damp cloth to remove any dirty marks. 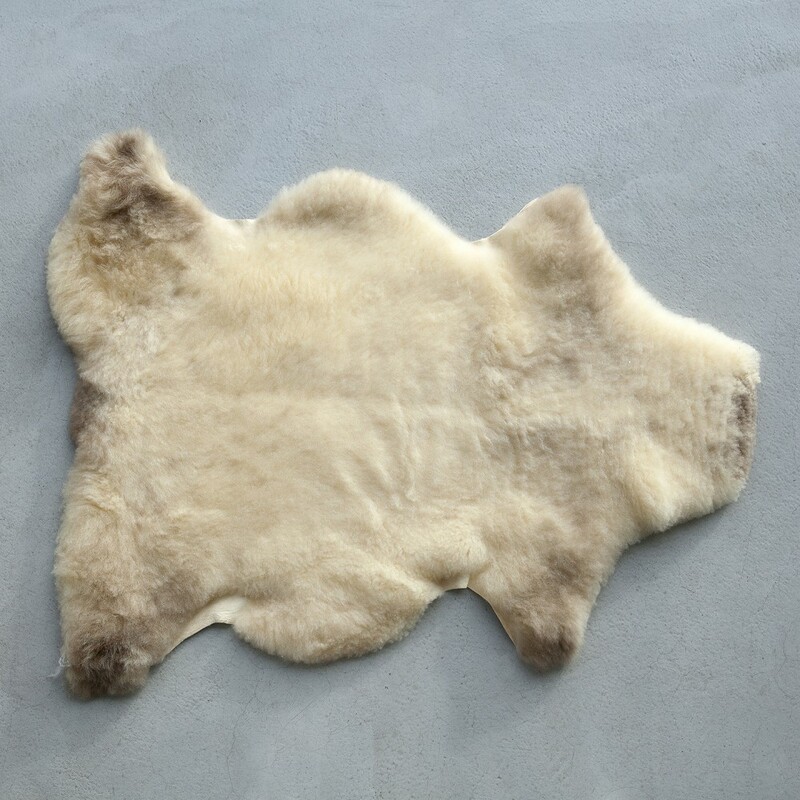 In the event of an accident you can wash RELUGAN treated lambskins at 30°C either by hand or in a machine on a wool programme and with a special wool detergent. · Leave your lambskin to dry somewhere out of direct sunlight and away from any heat source by rolling it inside out. · Your lambskin may seem stiff after drying. To restore the suppleness just rub two parts of the lambskin together for a little while. · You may also get the impression that the lambskin has shrunk a bit, but that is just an illusion, after you have ‘worked’ it a bit, it will return to its original size.